The truth is still out there! 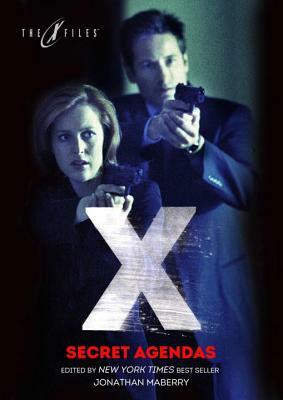 Get ready for the new season with FBI Special Agents Dana Scully and Fox Mulder as they go hunting in the shadows for dangerous truths in this new collection of 15 original, never-before-published tales of the X-Files. Edited by New York Times bestseller and multiple Bram Stoker Award-winner Jonathan Maberry, and featuring heart-stopping stories by some of today’s hottest writers of mystery, thriller, science fiction, and horror. JONATHAN MABERRY is a New York Times best-selling and multiple Bram Stoker Award-winning suspense author, editor, comic book writer, magazine feature writer, playwright, content creator and writing teacher/lecturer. He was named one of Today’s Top Ten Horror Writers. His books have been sold to more than two-dozen countries. Among his numerous book and comic credits are the shared-world anthologies V-Wars: Shockwaves and V-Wars: Night Terrors; the X-Files short story anthologies The Truth Is Out There, Trust No One, and Secret Agendas; the V-Wars comic series; and the comic series adaptation of his zombie novel Rot & Ruin; all from IDW Publishing.